Please find attached a copy of the article my family-related friend has written on the late Mohammad Reza Shah. My friend has requested me to get his article published onto a well known web-site abroad. 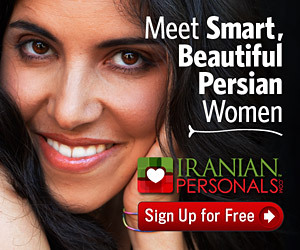 Iranian.com costitutes the first point of contact I am relying on. Due to the anniversary of Shah&apos;s death in July, I hope you find the enclosed article intersting to be put onto the electronic magazine you are responsible for. — M.P. The Shah, the dreamer of great deeds, like his literary counterpart Lord Jim*, jumped an apparently sinking ship, but much unlike Conrad’s tale of resurrected courage this was the Shah’s second jump. The first being Twenty-four years earlier, shortly before the fall of his nemesis Dr. Mohammad Mossadegh. As before, he left the crew behind. Not as fortunate as the preceding group who heaped unstinted reward, through the years, for their loyalty and their claim on holding the forte for the Shah, this time the unlucky lot were rounded up daily and routinely shot. The Shah, living in the Bahamas, read about the daily executions, and, while contentedly smoking with a cigarette holder, the cameras caught him. For daily exercise, he swam in the clear warm water of the region, and went for walks, accompanied by this wife. Things in all appearance would have been well, if he could find for residence a permanent host country, and if cancer was not ailing him. As he went from one country to the next, his entourage, now meager, called well-known specialists from around the world to treat him. The Shah wanted to live, wanted to extend his life with a resolve incongruous with his situation. The man who was king two months ago was now history s number one outcast. On passing the shores of the world he now could find not a single candle lit in any window signaling an invitation. It must have dawned on him for the first time how cruel the arena of world politics could become for a man whose time had passed, and who was no longer in the pinnacle of power. The memory of the pomp exercised on his arrival as a head of state in countries he visited in the thirty-seven year tenure as a king, seemed now so meaningless. But he hung on to life tenaciously inspite of the inward grief, and his being ill terminally. Perhaps this was for a political reason, or it might have been because of a narcissistic self-love, an inborn trait, like a miser who pinches pennies yet when he knows he has but a few more days to live. In the crucial months of the crisis, with all the channels of public address at his side and all the levers of power at his command, he came forth with not a single grain-worth of anything but blatant appeasement. No glint of the sword, no statesmanship, no commendable deed and no heroic resolve. He offered only unilateral compromise: step-by-step retreat through absentee proclamations, and the changing of prime-ministers in grotesque succession. He maintained such a low profile that at times it seemed he didn’t exist. His stratagem was to gain time. Only in the course of time he could find God’s deliverance. The nightmare could pass with time, the stillness of dawn would settle on the land, a dazed and tired people would eventually seek peace and tranquility . He little knew that an uprising of short duration. if it ends an era, is a revolution. The Shah from the start could not cope with an uprising that gradually gatherrd force and with tremendous momentum smashed the pyramid of power, on the apex of which he sat . He appeared in the airport one afternoon stripped literally of command, the aura of power gone, face tired and worn, frame emaciated, loose in a black topcoat tailored to maintain snappy form even if no human was in it. His wife by his side blinking, as he announced to the world, “I am going for a period of rest”. While the duration of “rest” was indefinite, he conveyed that he would return when he felt well, or when all was well in the country. He boarded the royal jetliner, still a head of the state, flew to Egypt. A departure in all appearance, but morally a second jump. Had he known how the world would treat him, most likely he never would have left. He would have remained on the spot like one of his statues. Fate then, unfailinghly, would have had for him a kingly end; a true lord facing executioners, a true-to-life Tuan embracing death “as though it was a birde” for the mistakes he made. Unfortunately, so grand an exit was not to be his. Instead, he left the ship of state rudderless with no able-minded seaman at the helm, thinking it would remain so , in place , bobbing on rough waters until he returned. No other pilot would dare climb on deck to take command; his generals would not let such things happen. There would be strife for sure, clashes of arms and bloodshed but his hand would be clean of it. Finally enmasse the people will rise on the side of the army. On the wasteland of a civil war a path will be made and the atlas-nations will nod and he would become once more a prince of luck. Like before, it could happen. He would return. History with its habit of repeating itself would gift him again with the lost crown and the august title: The Light of the Aryan. On that he now had qualms, a sense of un-easiness, as if he and the title no longer belonged to each other. From the porthole of the jetliner bringing him back he perceived the snow-capped mountain of Damavand on the northeast of the capital; now awaiting him. In all his lifetime of travel around the would, not once did he see a mountain as rugged and yet so shapely as this one near his home-city, rising out of the earth without angularity or jaggedness, going up smooth and graceful into the sky. Observing it was pleasure, as if mother-earth had sent up a gigantic sentinel to guard, in everlasting solitude, the capital city of Tehran, from behind the ranges. He remembered how in the past so many posters and portraits were made with him standing solemn-faced, hands folded on chest, before that mountain, conveying man-and-mountain all weather fortitude. The memory of those posters did not ruffle him as it did during the months in exile. He now was the winner, had gambled and won, was returning home crowned with victory. so the message of posters were not far off the beam. He as ever was there to behold a vast tranquil land, that appeared to have tricked him, but not so now. Nonetheless the loneliness of exile and the memory of events preceding, had forced him to view himself in a self-revealing light. He had gazed into his own soul and found it lacking transparency, blotched in spots with dark shadows. For a nation so changed and so much wiser now, like himself, he knew his old self would be a relic not suiting the time, only fit for the museum of history. He was a being thoroughly new, spiritually metamorphosed setting foot on the land of Kourosh whose legacy he had taken upon himself and his sire to symbolize. Albeit, if he again saw sycophant art-work he had doubts that at its best he would not find it revolting, not edging him to the border of nausea. The need for great pomp, bombast, pageantry and festivals, with him as the star viewer, the most revered guest in the limelight, was also a thing of the past. He cared no longer to shine with ostentatious titles, with assorted medals, mostly self-bestowed, on his chest when wearing a military uniform. Implied posturing as a divine being inspired by sources unknown to others, was to be no more, these were old clothes to be thrown in the flames of the pyre to burn to ashes alongside his old self. The new personality would exert itself with subtle force, would eradicate from a society the ills that his frailties brought. Art-work slanted to please him would not flourish again. By not bestowing special attention, painters hence would be using their brush in the pursuit of the aesthetics in art, not him. Henceforth the special breed of writers, poets and political essayists no longer will write having him in mind as the most important reader, the one whose regal nod of approval would count more than the opinion of the public. Majlis never would become again a gathering place for flatterers, one ever trying to surpass the others. Speechmarkers in any assembly would no longer feel the necessity of exorcising the demons of fear from a cowed audience, as well as themselves, by eulogizing him first before expressing criticism on a subject or a current issue. He would see to it from the beginning that torrents of slogans, to please the royal mind, would not be shouted by crowds in the streets with faces feigning wrath, clenched fists pumping into the air, along with voice organs delivering, on cue, death-chants. No longer would he allow insult to mass intelligence thus to be made. He would build a society based on goodwill, trust and truth , the latter guarded by a free press . in such a society his brood of brothers and sisters with boundless avarice no longer could function. So best they remained where they were, abroad. To the memory of those who lost their lives on the cause of his return and those executed he would build a memorial: a monument of marble and light, a masterwork with a flame on a campanile high on the site burning eternally. He would make up to the families and descendants of the lost heroes who saved Pahlavi dynasty, would see to it that their souls remained at rest till he joined them. The memories of ancient wrongs; cruelties perpetrated by others , for the good of the state, while he turned face the other way, came to torment him. His heart pained a little, and it saddened him that he could not rectify himself on this account. As always he bore the pain in silence until it passed. The jetliners’ four engines droned at low altitude, wings slanted in a half-circle approach to the runway. The returning king saw the army band, a unit of his beloved royal guard standing in perfect rows, the front line bearing the colors. Worried officials jostled about. A throng, no doubt the welcoming committee, stood meters away from the red carpet where the liner was supposed to stop. In front of the royal pavilion he saw his old limousine kept well during his absence. His wife, sitting by his side, held her face near him. He was about to say something to her when suddenly his attention passed on something unexpected. On the grounds below, the mass of humanity that had come to welcome him reached horizons. Only the airport, like an island, revealed a portion of earth, and the grand square Shahyad, with its elegant monumet made to shade his tomb, when his time came. He knew there and then that nothing would go according to plan. No speeches would be made and no trumpets would blare. His royal guard would not be reviewed, and no general of the army as before would bow and place a kiss on the back of his hand deferentially. A crowd like that could not be contained even if the whole army was guarding the airport. Tears welled up in his eyes and his wife, noticing him, pressed his hand. He knew his way with crowds. He had been in their midst many times. The pushing, shoving, crying, imploring crowd, for sure, as if possessing one mind with myriad hands stretched to touch him, always took him to where he wanted to go. He and his wife, he knew, would reach the royal limousine sore and bruised and inspite of his frail health, happy. He knew that. The crowd would open the way and the vehicle slowly would move into the familiar boulevards. Enroute the palace on either side of the streets he would hear the waiting crowd, cheer. He heard their cheers mixed with the droning whine of the engines as the liner came to land for the second time on an ancient country, where compassion transcending politics had stretched a welcome hand to him: Egypt. Such dreams denied, could have been the basis of his refusal to make a firm stand, the cause of all the inaction in the past. But who know’s for sure what went on within the man, in the last months of his life, before, and during the uprising . Perhaps all along, not noticeable to anyone, something entirely different was at work. Guiding him may have been the instinct of a plain, ordinary, dying man. For years he bore the burden of imminent death alone. Only God, his wife and his doctor knew of his affliction, and all those who pretended they didn’t know so his spirit would not be frayed. Confronting a nation whose wrath he could not fathom and, worse, he thought it undeserving, his grief and anguish swelled out of proportion as life within him ebbed rapidly. In such a state no doubt he wished communion with providence on his own behalf, for the journey to another medium. This is hardly an ideal state of mind for a high destiny decision-maker. The order of letting his army and secret police coming out with blazing guns snuffing out lives while his own was being quenched by cancer in no way suited the mental state he was in. All this might have brought him to a point where forces in him gave way. He ceased being a creature of rationality as we know it. A man no longer his former self whose gaze might have turned at some point away from lofty goals and soaring dreams he harbored: the vision of an enchanted future for his country, dimly phrased in his mind: ‘The great civilization ’. His tired soul might have saught a recluse long before his authoritarian prestige faded. A cool shady place he sought away from all the din and noise and all that was harsh and thankless, where he could snugly settle and observe a while longer the world that denied him eminemce at the end. With death-glazed eyes he viewed his surroundings, until lights dimmed out and darkness shrouded him as he passed quietly on into eternity. A sad ending is after all only a sad ending. It never over-shadows the essense of a man’s life. Never it is a total eclipse. In the course of time the world would hold the memory of the Shah in great esteem, and history will be a fair judge. During years in power the man with delicate skill nudged Iran into the twentieth century, a feat not to be disparaged or despised. A historical and cultural path once traversed could not be trodden on back. A legacy. This may yet prove to be a posthumous triumph for a monarch on whose ancient land the book of literature on kings, queens, princes, and princesses abruptly closed. The Shah of Iran died July 27, 1980. * Lord Jim was first attributed to the Shah by the late Sir Anthony Parson, the last British ambassador to Tehran, before the revolution. Reviews of his book “Pride and the Fall” in newspaper and periodical in Iran had to tell briefly the story of Lord Jim in order to clarify the comparison.